I was also, yes, yes, yes, forgetful. I forgot. When did I realise this? When I won again. 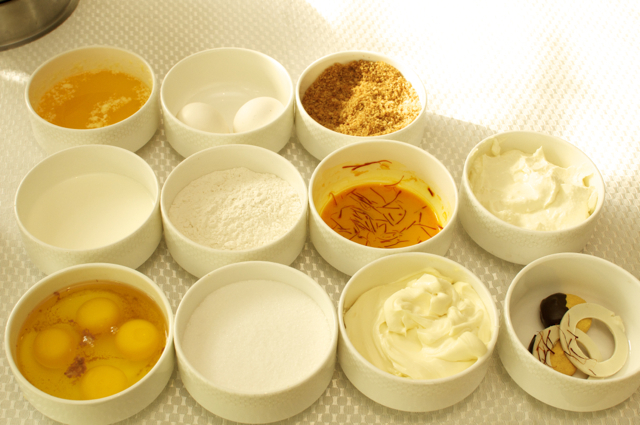 This time, same hotel, same restaurant, but cheesecake making session. This time I was aghast. Sad. Self Kicking. Not because I won, but because I missed the previous awesome offer at Prego. I was determined to make it up this time. I also had an agenda. 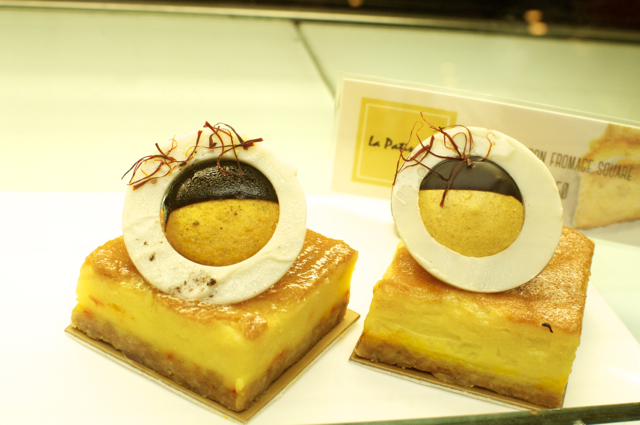 La Patisserie, the awesome but discreet cake shop at Taj Coromandel, has some fantastic stuff. While cheesecakes in some decent coffee shops can cost around Rs. 250, at a 5 star patisserie, it costs between Rs. 130 and 150. Between 8 and 9, they have a ridiculous flat 50% off, so it costs Rs. 65- 75. Service tax. Corruption tax. All tax included. I wanted to know how they do it! 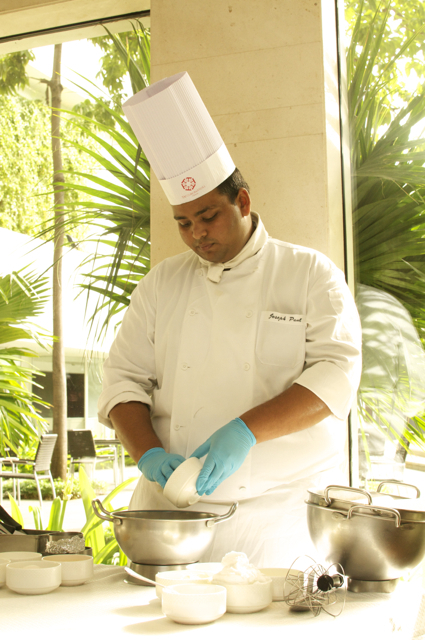 And so, five contest winners were assembled at Prego and the seemingly simple art of cheesecake making was taught. Two varieties, a baked one and a frozen one with some fantastic flavours. Eggs, cheese, flour and spices magically turned into cheesecake! 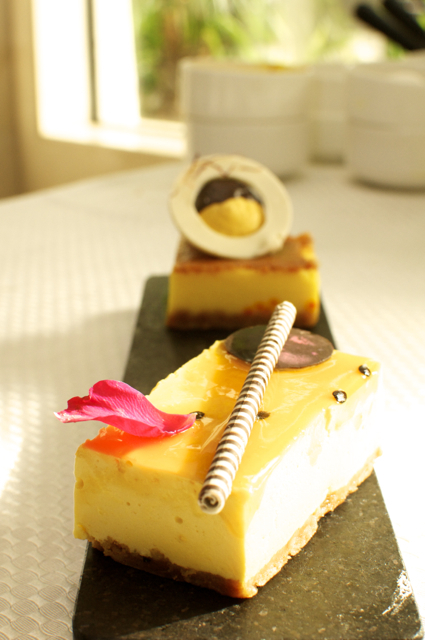 The saffron cheesecake that I had packed home a couple of days back was made right in front of us!!! The cake itself was amazing. Passion fruit cheesecake was the other!!!! The offer also had a high tea included and it was similar (but smaller spread) compared to the Taj Lounges around. The salmon with zucchini sandwich was fantastic there! 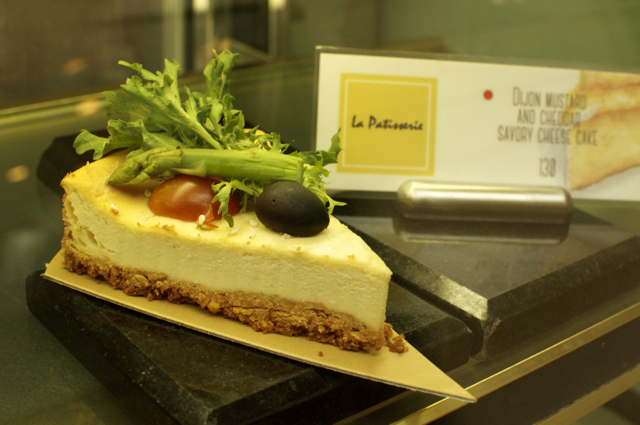 Though this event was part of the World Cheesecake Day (and I knew such a day existed only after this), I normally pick up a lot of stuff from La Pat as we (and as I realised later, Taj also) fondly call this place on the basement of Taj Coromandel. While their cheesecakes are definitely the highlight, their croissants (if fresh) are crispy and buttery and some savoury pies are definitely worth a shot. If you go between 8 and 9, anything on the counter is worth it!!! At Rs. 1250 a kg, their chocolate cake (which normally needs about 8 hours of pre-order) which was a routine for my medicine chief during my days in Apollo) is to die for!!!!! I haven't ordered it in a while though! !